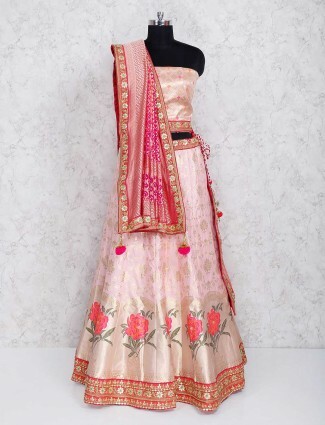 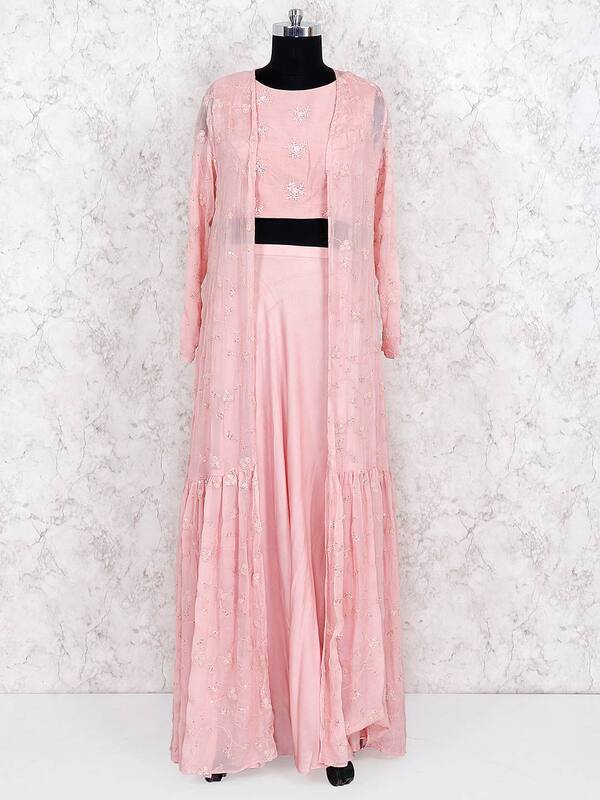 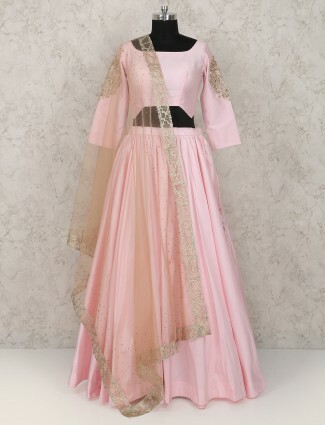 Explore yourself by wearing this beautiful pink colored jacket style lehenga choli. 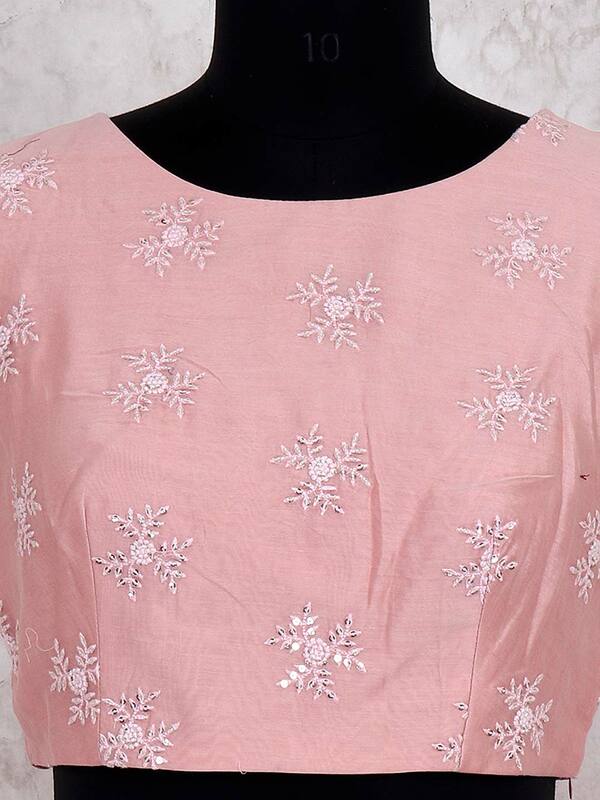 Decorated with thread and cutdana work all over. 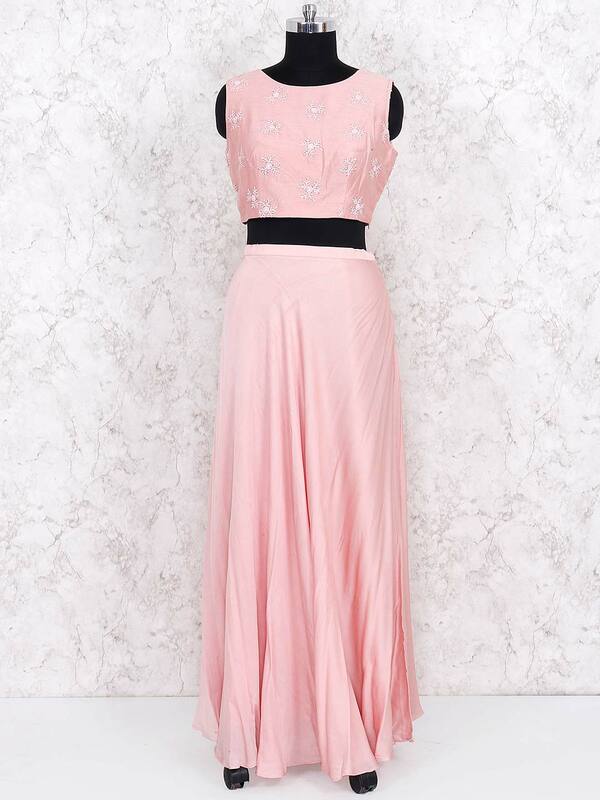 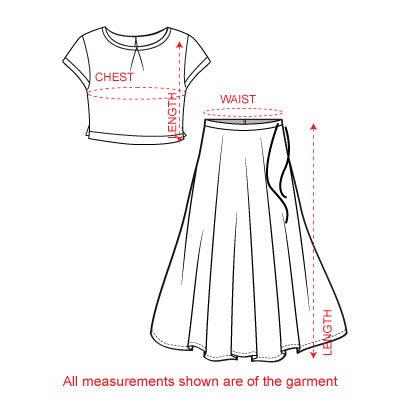 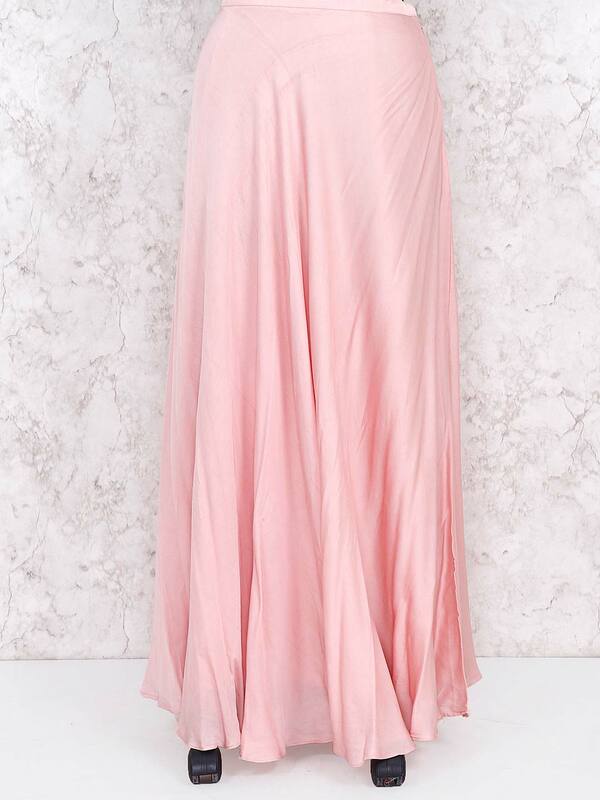 It features round neck and sleeveless design. 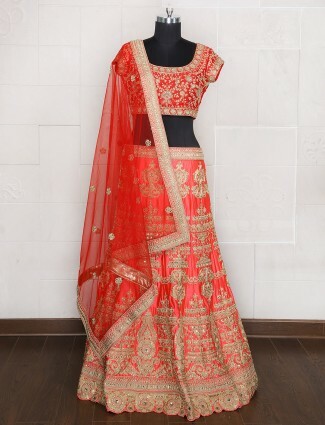 Ideal for festive as well as party wear.